Were you looking for Medtronic Insulin Pump lawsuits? The Medtronic SynchroMed EI Implantable Infusion Pump has been recalled by Medtronic and the FDA after reports that Implantable Drug Infusion Pumps have resulted in incorrect dosage and life-threatening withdrawals. At least 14 patient deaths are linked to Implantable Infusion Pumps. The SynchroMed pump is implanted to deliver drugs to treat pain or muscle spasticity with or without a catheter. Send your Medtronic SynchroMed claim to a lawyer who will review your claim at NO COST or obligation. The SynchroMed II and SynchroMed Implantable Drug Infusion Pumps, made by Medtronic, are programed to deliver prescribed drugs to a specific site inside the patient’s body, typically the spine, to treat primary or metastatic cancer, chronic pain or muscle spasticity. But Medtronic in August 2007 reported that its SynchroMed pumps have stalled at unusually high rates, allegedly due to shaft ware. This stalling stops drug delivery without warning, and patients can experience return of their pain symptoms and drug withdrawal due to of accidental overdose or under-dose. Medtronic SynchroMed Recall The 2017 FDA warning, updated from its SynchroMed II and SynchroMed EL Implantable Drug Infusion Pumps recall in 2013, classifies the infusion pump as a Class I recall, the most serious type of recall, meaning that use of these devices may cause serious injuries or death. This latest recall—in March 2017—involves the SynchroMed Implantable Infusion Pump software problem, which may cause unintended delivery of drugs during a priming bolus procedure, used to quickly deliver large dose of medication from the device to the patient’s spine. The 2017 FDA warning also states that during this procedure, patients may receive the drug unintentionally at a high rate of infusion in the cerebrospinal fluid followed by a period of reduced drug delivery after the priming bolus. Should this drug overdose or under-dose occur, it can to serious adverse health consequences such as respiratory depression, coma or death. The pump can be implanted with or without a side catheter port. The intrathecal catheter or intrathecal catheter revision kits use a sutureless connector for the final connection to the implanted Medtronic SyncroMed II, SynchroMed EL, and IsoMed infusion pumps. The catheter is part of an infusion system that stores and delivers parenteral drugs to the intrathecal space. Intrathecal Catheter Pump Segment Revision Kit, Model 8596SC. At the end of 2012 Medtronic sent a letter to customers warning that use of unapproved drugs with its SynchroMed pumps can more than double the rate of device failure. In 2015, the FDA banned the manufacture of Medtronic's SynchroMed II Implantable Infusion Pump Systems, citing the company`s repeated failure—after the FDA had issued a total of 30 warnings to correct violations of its quality system regulations. 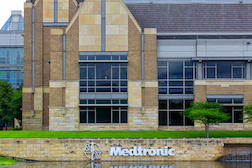 The FDA’s action halted Medtronic’s design and distribution of new Synchromed II Implantable Infusion Pump Systems except in very limited cases, such as when a physician determines that the Synchromed II Implantable Infusion Pump System is medically necessary for a patient’s treatment. In August 2016 a Pennsylvania man filed a Medtronic SynchroMed II lawsuit claiming that problems with the infusion pump caused him to receive an over-delivery of pain medication, resulting in severe and permanent injuries. In 2012 Richard Stengel filed a complaint alleging a faulty SynchroMed pump left him paralyzed, and that Medtronic “dragged its feet in informing the FDA about manufacturing problems with the implant,” according to Fierce Biotech. Stengel’s lawyer argued that, if Medtronic immediately reported problems with its pumps, doctors would not have used the devices and his injury wouldn’t have occurred. Courthouse News Service reported that Stengel and his wife filed the complaint in Arizona state court after Richard was left permanently paraplegic from an inflammation that developed at the tip of his surgically implanted Medtronic SynchroMed EL Pump and intrathecal catheter. After Medtronic removed the case to federal court, U.S. District Judge Raner Collins found federal law pre-empted each of the Stengels' four generic claims. If you or someone you know suffered an injury related to the SynchroMed II infusion pump, consider legal help. Attorneys are investigating cases involving various infusion complications, including overinfusion, underinfusion and pump defects. I have had nothing but issues with my pump. At least two surgerys due to malfunctions and catheter breaks.